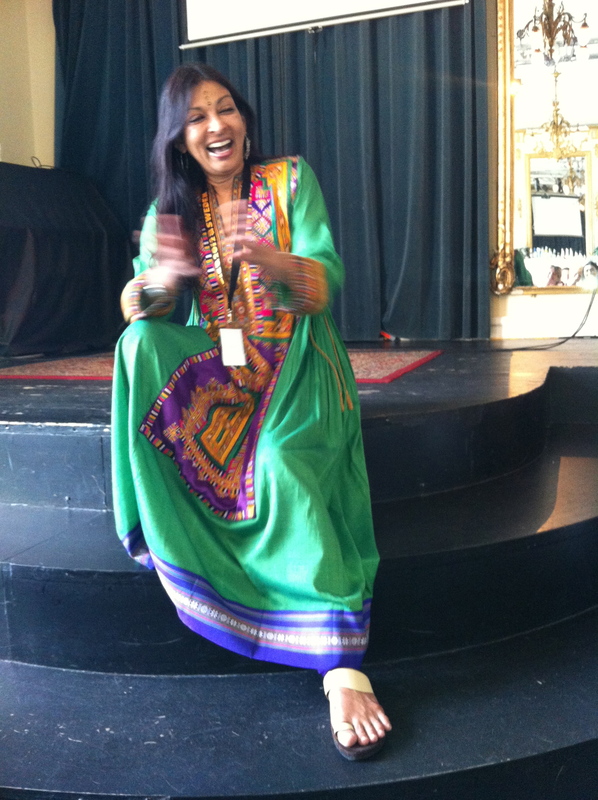 The Women Playwrights International Conference 2012 has just wound down in Stockholm Sweden. The conference focussed on playwrights from the Middle East and Africa and we heard from some amazing women working in Afghanistan, Lebanon, Jordan, Palestine, Egypt, Kurdistan, Israel, South Africa, and Uganda. But there were women from all over the world sharing their working practices and showing their work, including the wonderful Mallika Sarabhai from the Darpana arts academy in India (see picture). WPIC 2012 gave a wide-ranging and fascinating overview how women create work across the world, but in particular in the Middle East and Africa where there are very specific challenges for women. I was moved by performances from young performers living in Afghanistan, and by the enthusiasm and energy of Nidal Al Achkar from Al Madina Theatre in Beirut. WPIC in 2015 will take place in Cape Town, South Africa. My latest poetry publication is A Simple Rain – a collaborative project with visual artist Perdita Phillips, published by Lethologica Press. These poems respond to the magnificent landscape and rocks (yes, rocks!) 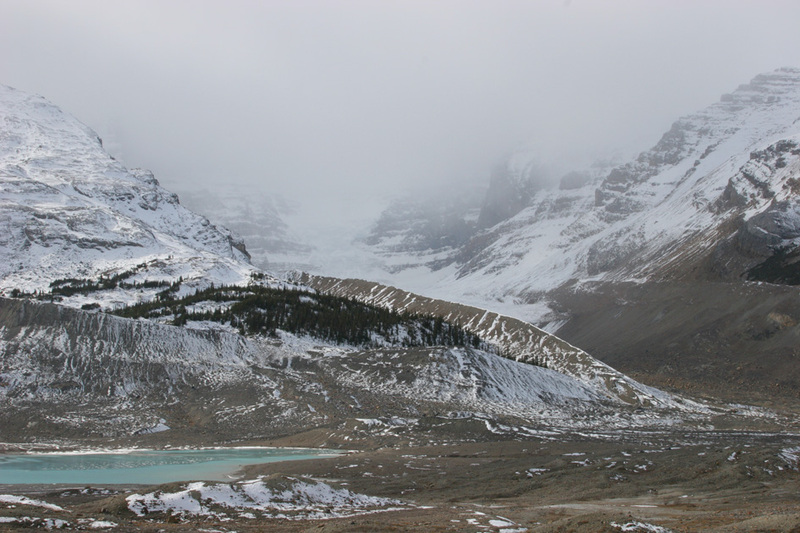 of the Athabasca Glacier in Alberta, Canada. Photography with an eye for symbolism and hint of narrative, prose filled with visual acuity and flurries and flakes of inventiveness. There is a tangible synergy here between text and image, giving rise to “dissolved aspirations”, depth…past mourning” and the “notes of ages”. 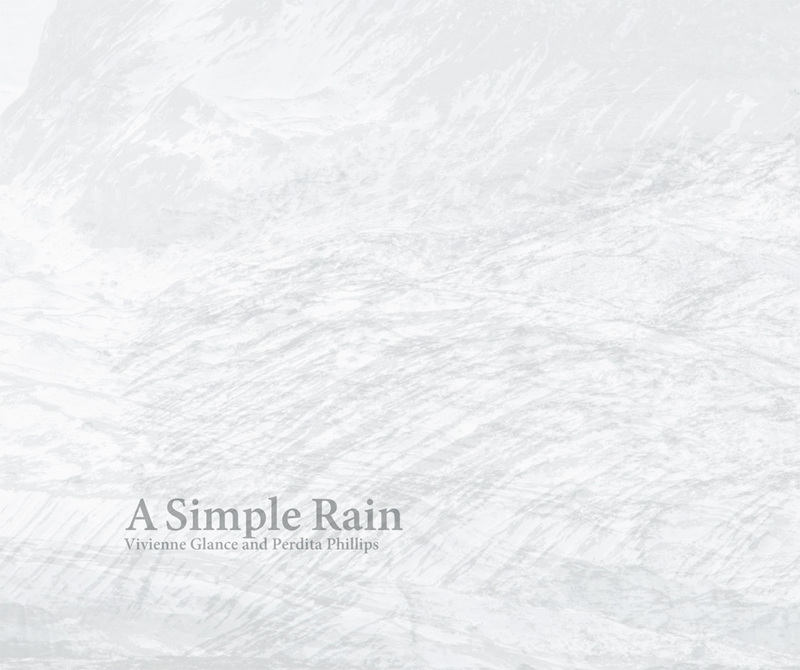 ‘A simple rain’ is a book to linger over, a book to savour. Glance’s poetry and Phillips’s images – spiritually intelligent, spacious and honest responses to this austere and shapely northern wilderness, and to each other’s work – teach us how to see again, less simply but more clearly: into our own and each other’s hearts and into the architecture of this world of places.